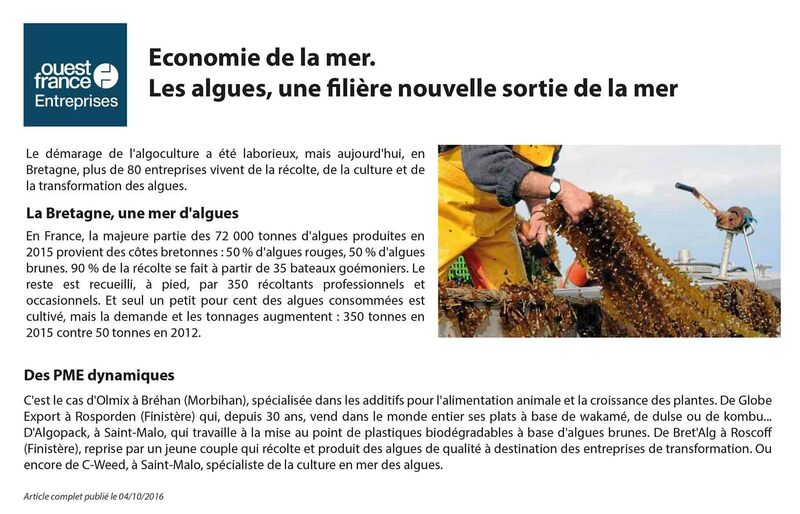 Read the article published in Ouest-France Entreprises about C-Weed Aquaculture: “The sea-based economy. Seaweed, a new branch from the sea. Today in Brittany, more than 80 companies make a living from the growing, harvesting and transformation of seaweed”.